An addiction to masturbation saps our energy and makes us feel tired all the time. This unhealthy habit often leaves us feeling guilty and lowers our self-confidence. When masturbation becomes excessive, it can negatively impact the way we live our lives. Often, our excessive compulsion for masturbation works very similarly to the way a drug affects us – we indulge in it when we are feeling bored, lonely or when in need of a ‘quick fix’. Masturbation to us is like a temporary ‘hit’ to run away from the real problems that we are facing in our lives. Of course, it doesn’t actually solve any problems – it just makes us feel even more guilty and ashamed of ourselves in the end. But even when we are aware that our excessive masturbation habit is turning into an addiction, we still feel helpless and give in to it whenever the urge arises. Do you often feel like you are losing control of your life because of your inability to control your masturbation urges? Are you often left feeling guilty and ashamed about excessive masturbation? Is your personal and professional life being affected by the seemingly unstoppable compulsion for masturbation? Are you tired of being controlled by these urges? 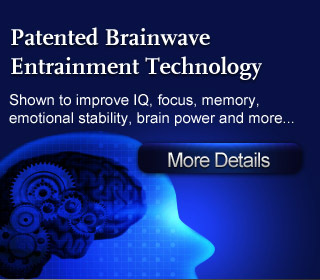 Thankfully, with today’s advanced Brainwave technology, we are now able to go straight to the problem-causing areas of our mind to reduce the urge for excessive masturbation. With the latest brain entrainment techniques, we can effectively ‘reset’ our natural sexual urges to a healthy level, without any negative side effects whatsoever! No reviews on E05 Stop Masturbation Addiction so far.